It's Tuesday, Nov. 11, Veterans' Day. I walked into our bee friendly garden hoping to find a honey bee. One buzzed erratically over the purple sage and rock purslane and disappeared. The rest are nestled in a hive somewhere, trying to ward off the cold. Which got me to thinking--where's that fuzzy wuzzy newborn bee photo? Oh, here it is. See all the yellow hair on the thorax? When this bee grows old, the thorax will be smooth and almost devoid of hair. This baby bee photo I shot last summer at the Harry Laidlaw Jr. Honey Bee Research Facility at UC Davis. Worker bees live only four to six weeks in the busy season, so by now, she's probably gone to the Big Bee Heaven in the Sky. But isn't this baby bee adorable? You can hold a day-old bee without getting stung. 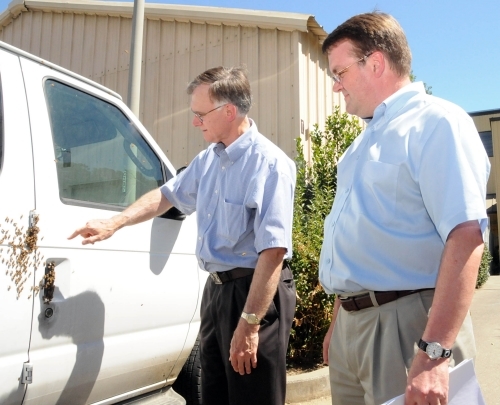 Day-old bees don't have stingers, says UC Davis bee apiculturist Eric Mussen. Better yet--hold a drone, a male bee. No stinger. Ever. We often hear of "cream of the crop," but the honey bee is the "queen of the crops." 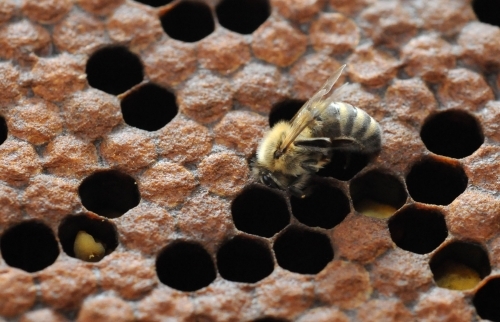 Honey bees are crucial to California’s $32 billion agriculture industry. They pollinate more than 90 different fruit, nut and vegetables crops in the state, says Cooperative Extension apiculturist Eric Mussen of the UC Davis Department of Entomology faculty. 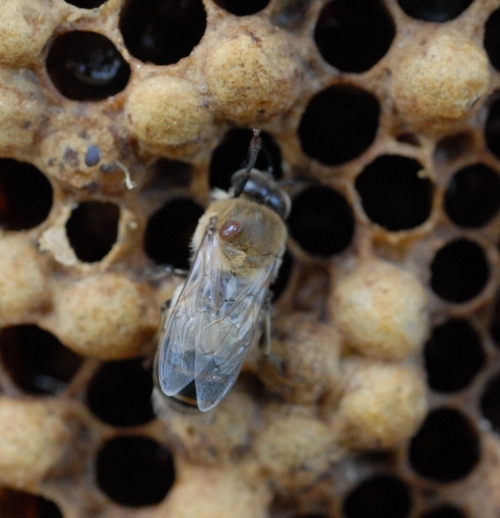 Can you name a fruit or nut crop that absolutely depends on honey-bee pollination? So much so that no commerical crop could be produced without cross pollination? No, not tomatoes! Here are some: almond, avocado, apple (most varieties), apricot (some varieties), cherry, chestnut, lychee fruit, peach (some varieties), pear (some varieties) plum, pomegranate, prune, sunflower, tangelo and tangerine. 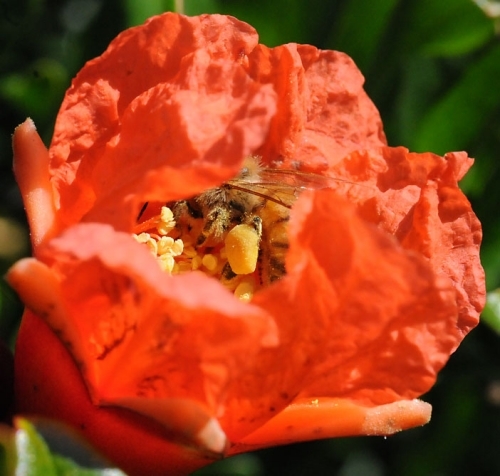 Vegetable seed crops dependent on honey-bee pollination? Among them: asparagus, broccoli, brussels sprouts, cabbage, carrot, cauliflower, celery, Chinese cabbage, collards, cucumber, kale, kohlrabi, leek, melon, mustard, onion, parsley, parsnip, pumpkin, radish rutabaga, squash, turnip and watermelon. “One third of the American diet is pollinated by bees,” Mussen said. California leads the nation in almond production, producing nearly all of the crop. “With around 660,000 acres currently in production, and branches bent nearly to the ground on many trees, the industry is due to set another record in nut production (1.46 billion pounds) and production income,” Mussen said. Each acre requires two hives for pollination. Ouch! So, you’ve been stung by a bee. If you’re a beekeeper, an occasional sting is a natural part of beekeeping. 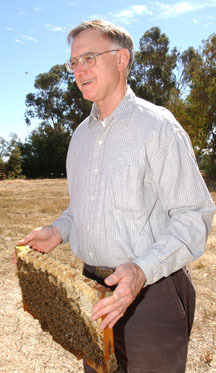 UC Davis apiculturist Eric Mussen says that the average beekeeper may be stung approximately 3000 times a year. 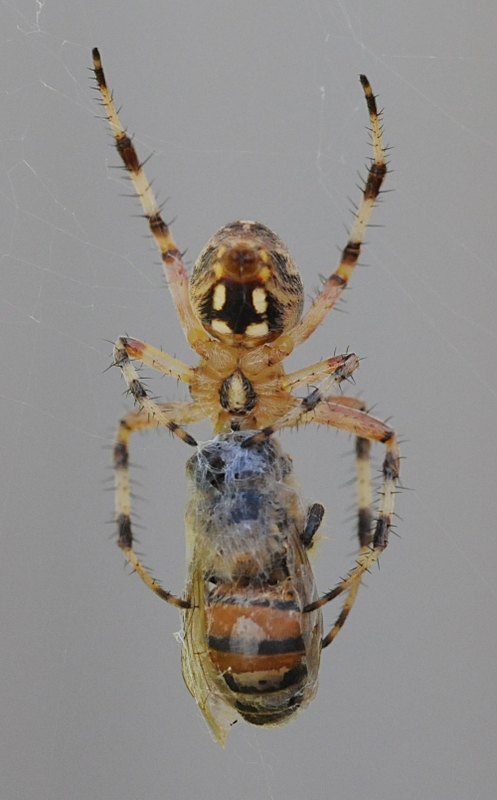 When bees sting, they inject a venom that can be temporarily painful. The pain may last a few minutes but may be felt up to a few days later. Some advise that you wash the wound and treat it with ice or a cold compress to alleviate the pain. Or, apply an aerosol or cream antihistamine preparation that contains a skin coolant. The important point: don’t scratch the itch as that could lead to an infection, Mussen says. If you’re stung on the neck or mouth, or start feeling severe symptoms, you should seek medical attention immediately, he says. Allergic responses include hives, swelling, nausea, vomiting, abdominal cramps and headaches. Life-threatening reactions—which require immediate medical intervention—include shock, dizziness, difficulty in breathing, unconsciousness, and a laryngeal blockage resulting from swelling in the throat. “Only about one or two people out of 1000 are allergic or hypersensitive to bee stings,” the UC Davis apiculturist says. Don’t walk in front of a hive as you’re in the bees’ flight pattern. Wear light-colored clothing. Bees are more likely to sting black or red objects. Don’t wear perfume, cologne or scented soaps. Remain calm if you’re stung. Don’t flail your arms at the bee; movement attracts more stings. Remove bees from a swimming pool before entering the pool.